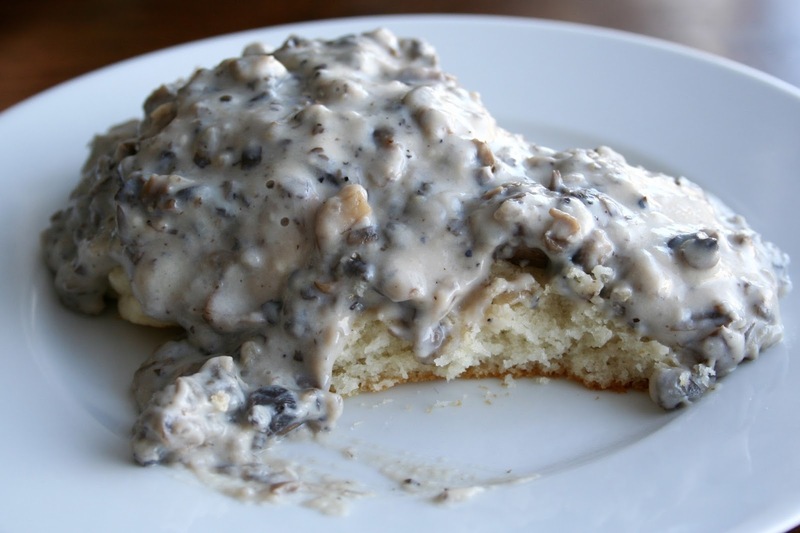 I'm a big fan of classic biscuits and gravy, but when I saw the idea of adding mushrooms to the sauce, I knew I had to try it! 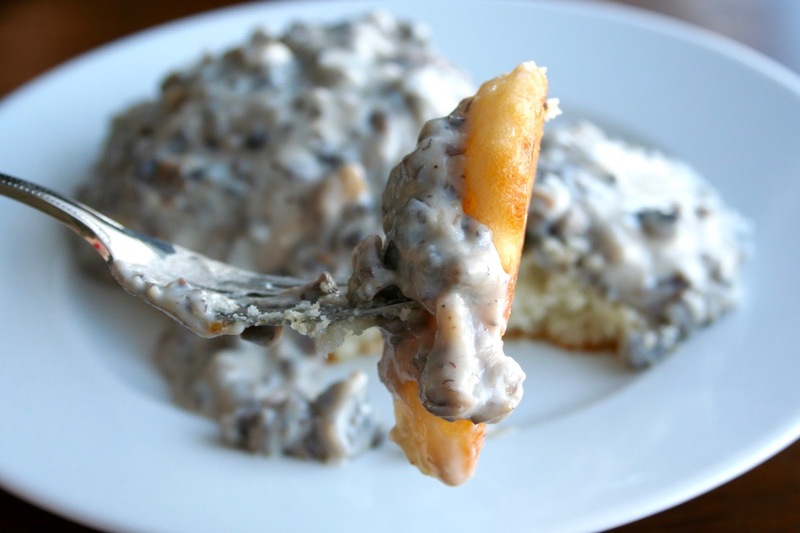 This gravy is such a fun change for any mushroom lover, like me, and it will be a definite hit for your family! 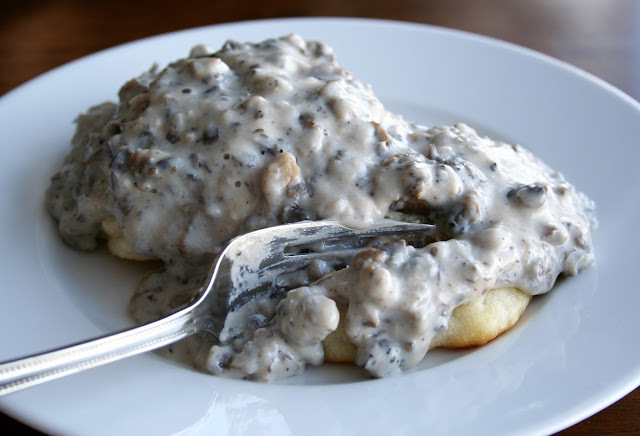 The gravy is served on top of my absolute favorite biscuits that are so easy to make and the best crowd pleaser. 1. Melt butter in a large pan over medium-high heat. Add mushrooms and stir to coat. Saute mushrooms for 4-5 minutes, stirring occasionally until cooked and softened. 2. Add garlic and cook for 1 minute. Stir in flour until dissolved. Gradually stir in milk. 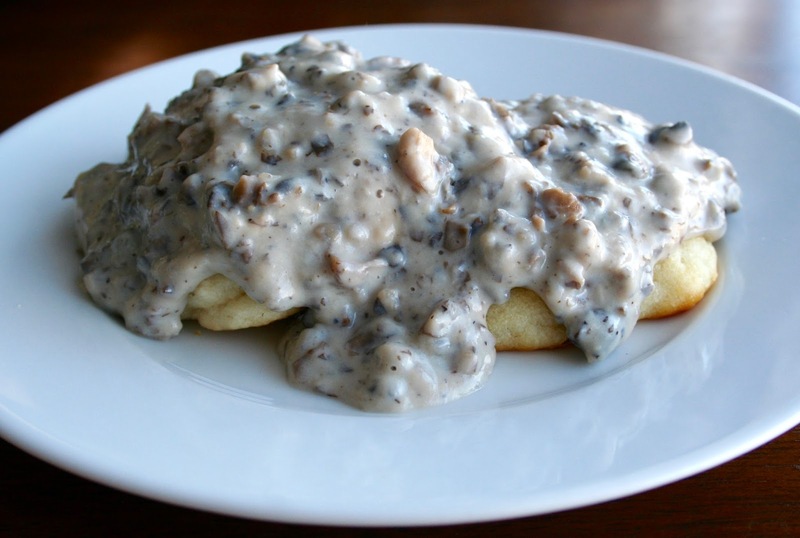 Cook gravy until thick and bubbly. Season with salt, pepper and nutmeg. Add more salt if desired. Serve over hot biscuits.